Restaurant: 5:30 p.m. - 10:30 p.m.
Live Music at 8:30 p.m. Escape to Trader Vic’s Atlanta for international cuisine, tropical cocktails and an unforgettable ambiance featuring hand-carved tikis, palm-thatched ceilings, and south pacific décor. 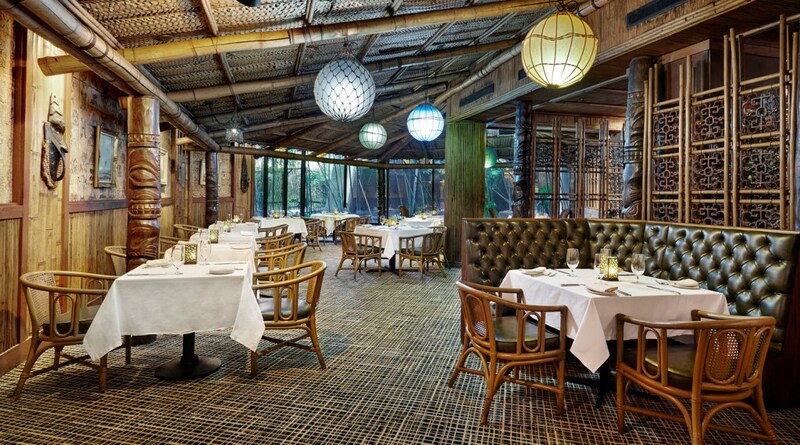 Located on the lower level of the Hilton Atlanta, Trader Vic’s hosts an ever-evolving menu featuring dishes from the Mediterranean, the Middle East, Asia, and Japan.